Premier Suites Ballsbridge sold for €17.5m. The PREM Group has sold its 49-unit Premier Suites Plus Aparthotel in Ballsbridge, Dublin, for €17.5m. 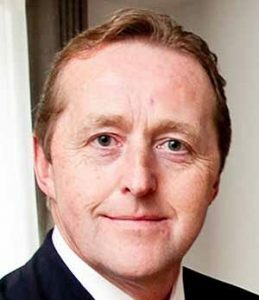 The PREM Group agreed a 35-year leaseback deal, the first sale and leaseback in the aparthotel space in Ireland. The PREM Group will continue to operate the aparthotel under its Premier Suites brand on behalf of the new owners. PREM Group has purchased the Aspect Hotel in Kilkenny and renovated Osprey Hotel, Naas, and Cahernane House Hotel, Killarney over the past 18 months including . 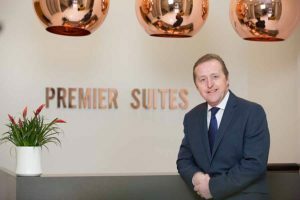 Jim Murphy, CEO of the PREM Group, said, “Premier Suites in Ballsbridge has been very successful for us in recent years and is proving to be an excellent choice for long stay and business travelers. We developed this business model in Ireland some 20 years ago and have since opened other Premier Suites in several large cities in Europe. We recently opened a Premier Suites property in Belgium in the heart of Antwerp’s Diamond district on the 1st September, making it the first Premier Suites property in Belgium and brings the number of aparthotels which we operate now to fifteen. The proceeds of the sale of Premier Suites Ballsbridge will be used to grow hotel operations, and PREM is looking to grow the turnover from €70m to €100m in the next 18 months.